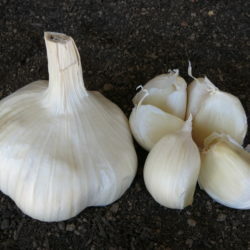 Lorz Italian garlic is a Sicilian variety with a rich, bold flavor with a bit of heat. 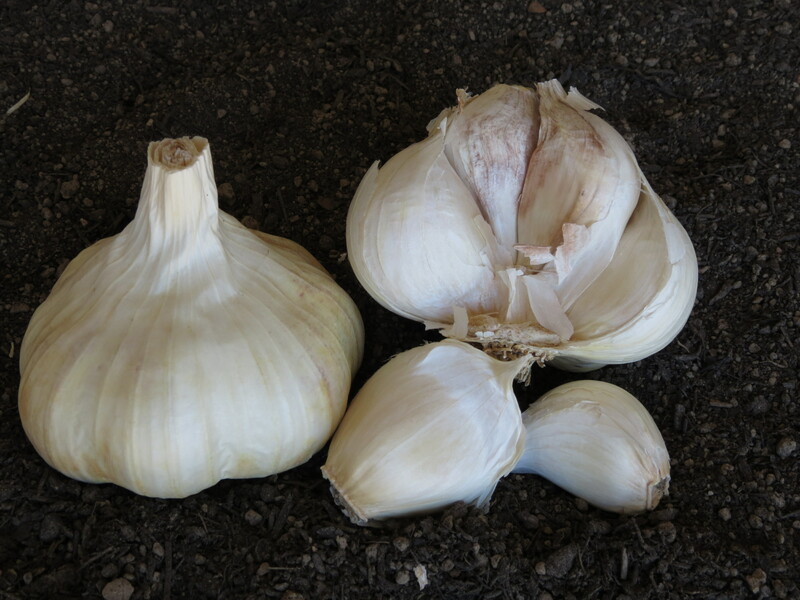 It is very large (up to 4″) and averages 15, easy to peel cloves. Lorz Italian stores for up to 10 months and is well adapted to hot summers.